In-floor Radiant Heat in Jefferson County, CO | Quinnair Heating & Air Conditioning Inc.
Quinnair has strategically been in the area of Jefferson County, CO since 2005 offering our in-floor radiant heat repair and installation services. We know that there are times when it is necessary to turn on the heater to keep our families comfortable and safe during those cold winters, and there is nothing as upsetting as to find out at the last minute that something has gone wrong. No heat is coming out of the vents, or the thermostat doesn't work. The same situation can happen for air conditioners malfunctioning during summertime. Quinnair offers a variety of services covering the different types of needs a household may have. Our experienced technicians know how to fix every problem you may be having with your in-floor radiant heat whether it is summer or winter. For the client that seeks a well-done job and a great deal, we offer free estimates and evaluations of the problem. Allow Quinair to be your HVAC repair company that can guarantee and assess any job. Call us today for more information, or you can visit our website for more details on how you can obtain a free quote from us. Don't run the risk of sleeping through a cold night. Call today! One of the many services we offer is the installation of your new HVAC system. It is one of those things you just have to get right when it comes to a in-floor radiant heat, air conditioner, swamp cooler, or vent systems. Our expert technicians are capable of executing a great installation so there is no doubt on your part and we secure our word when we say you'll be a happy customer. When it comes to ensuring your home indoor comfort and safety; we are the experts. Have you had that moment when you know it is a time to call for help because something has gone wrong or because of your HVAC system isn't functioning correctly? Or better yet, the last guy didn't do an excellent job installing it! Well, Quinnair is here to guarantee any job we do. We have been around since 2005 in Jefferson County, CO, and we have an impeccable reputation among our local clients. Visit our website for more information on how to obtain a free estimate or to schedule an appointment. Call now! Times are changing and so is the climate; slowly but surely. We have more warm months than we used to, so lately we know that we are in need of having our air conditioners on more often. Having them on all the time makes it expensive, and it becomes an overuse of electricity. How do we then deal with it? Some systems give the option to customize when to turn on, automatically make the temperature comfortable for you. As technology advances so are the options to manage in-floor radiant heat settings from home or via a smartphone. Developers are coming out with phone applications that allow you to control your system from virtually anywhere as you are on the move. Call our number or visit our website for more information. Our staff is on standby to answer your questions and even set an appointment for you to visit us in Jefferson County, CO. We deal with high-quality parts, accessories, and systems. Let Quinnair help you make your home a comfortable place to be. Call today! Our expert staff is on standby eager to help you or walk you through your HVAC problems. 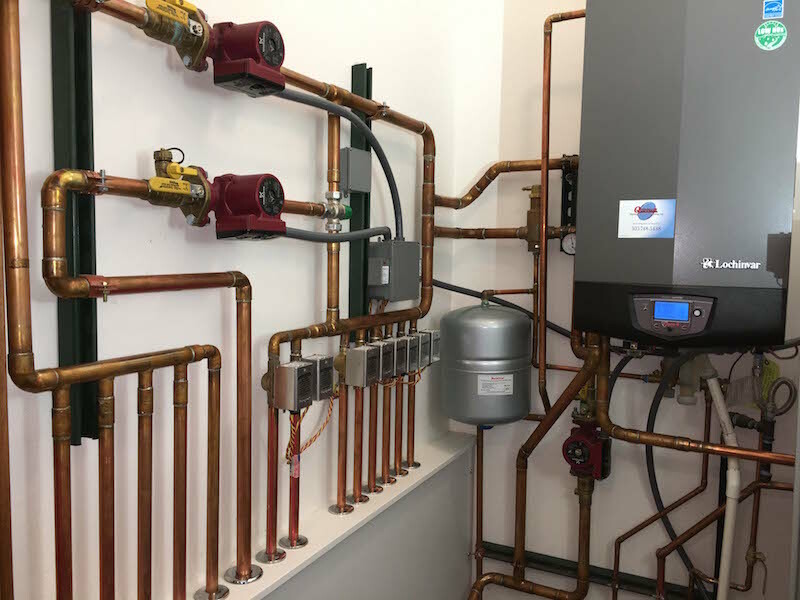 Our expertise gives us the confidence to bring functionality back into place for your in-floor radiant heat, whether for replacement or straightforward repairs. Quinnair has been in the area of Jefferson County, CO for over 12 years offering a great deal to its surrounding communities. We provide state of the art systems, conventional swamp coolers, and heaters. We specialize in residential and light commercial installations and repairs. We know that quality is necessary when it comes to HVAC products and repairs, so we deal with the best distributors in the industry to ensure your satisfaction. We are the best, and like the best, we offer free estimates and evaluations. Call us today, don't hesitate. Visit our website for more information and contact us for a free quote. Keep the quality of your indoor air flow at its best. Call us today!